Circular tables are a great option for any dining space, because they invite and encourage togetherness and conversation. 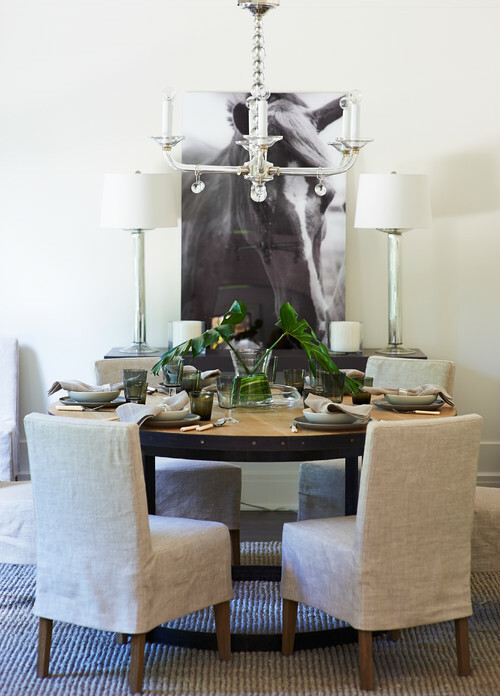 Do you love the horse wall art featured in back? It definitely fits the farmhouse part of this room! Notice the textures in the rug and the chair covers. They add interest and softness to the space.